Cheldin Barlatt Rumer will meet with you for a TWO HOUR, one-on-one session. Our SCREAM YOUR DREAM Marketing Session is designed to give you a CRASH COURSE in grassroots marketing specific to your brand and/or business. Identifying Your Sellable Experience – What Is Your Story? Establishing Your Product/Service Sales Language – What Are You Selling? Determining Your Audience – Where Can We Find Them (both online and offline)? Creating an Immediate Action Plan – What Do You Do Now? Structuring a Promotional Plan – What Do You Say? PDF worksheets will be provided during our session. Each bulleted question (listed above) will be addressed and answered during our session. Your answers will be reviewed and homework will be assigned. You will be given 2 weeks to complete your homework. The assigned homework will be reviewed and addressed during a formal follow up conference call. 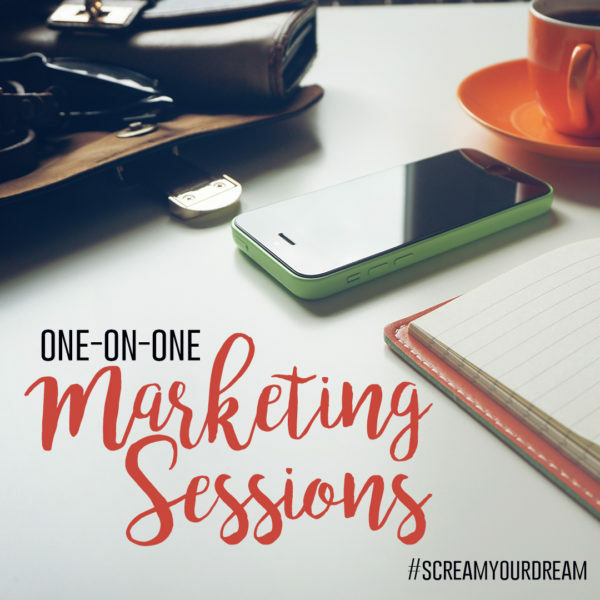 This SCREAM YOUR DREAM Marketing Session will give you clarity on your specific short-term goals while providing you with measurable sales tools needed to execute a realistic promotional plan. #SCREAM YOUR DREAM.